The Medical Library Association (MLA) has announced the HINARI/Research4Life (R4L) Grant for 2016. Funded by the Elsevier Foundation, up to five awards, will support HINARI/R4L training activities that promote the use of the programs’ scientific research resources in emerging/low income countries. The grants will benefit the users in the eligible countries as these individuals will obtain skills to effectively and efficiently use the HINARI/R4L resources and also become a training resource for their institutions or country. Applicants are required to hold a professional library or information science qualification, but in the case of exceptional candidates this criterion may be waived. Transcripts or a copy of the diploma should be sent with all applications. Applicants must be currently employed in a health and/or sciences library or related science information organization. Individuals and/or institutions are eligible to submit proposals. Applicants are not required to be members of MLA. The grant award is contingent upon completion of the project within 18 months of notification of the award. 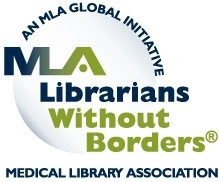 Agreement to submit an interim (9 month) and final reports to MLA’s Librarians Without Borders® The final report that focuses on the results of the project will be posted on the LWB Blog and may be published in other health/science-related information venues or journals. The completed application form and additional documentation must be received by June 13, 2016. More than one grant may be offered in a year. Grants range from $1500 to $6000 and are distributed in one payment. Grant funds are distributed in June following the MLA annual meeting with the project completion date being December 31 of the following year. If there are no appropriate applications, as reviewed by the jury, the association may elect not to fund a grant or multiple grants in a given year. All supporting documents and application forms must be completed by June 13, 2016. Incomplete and late submissions will not be considered. For more information visit the MLA grant site or contact MLA’s grants coordinator with questions.